Folded Space brings you board game organisers which will change the way you store, transport and, most importantly, play your games. Compatible with Concordia®, and has space for the Venus® and Salsa® expansions. 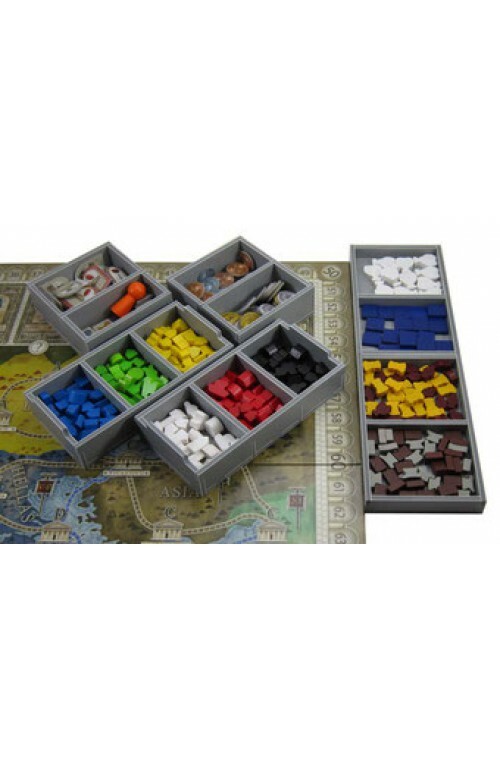 Note: Insert designed for base game with external box dimensions of 28.2 x 39.2 x 5.2 cm, AND also fits the new Concordia Venus base game with box size 28.2 x 39.2 x 7.6 cm. Also note that this is the second version of insert for Concordia. This insert is designed to be compatible with Concordia®. The trays have sufficient space for the Venus® and Salsa® expansions. There is space for all cards to be sleeved. The insert works in either the base game box, as shown, or in the new Concordia Venus base game box, images of this below. The design provides both efficient storage and improved game play. Many of the trays can be utilised during the game, and they greatly aid set-up and clear-away times. The boards and rules act as a lid on top of the trays. The board and rules act as a lid on top of the insert trays. Once fully loaded the box can be stored vertically and the lid closes flush. First place the player boards on top of the player piece trays. Next goes the board. 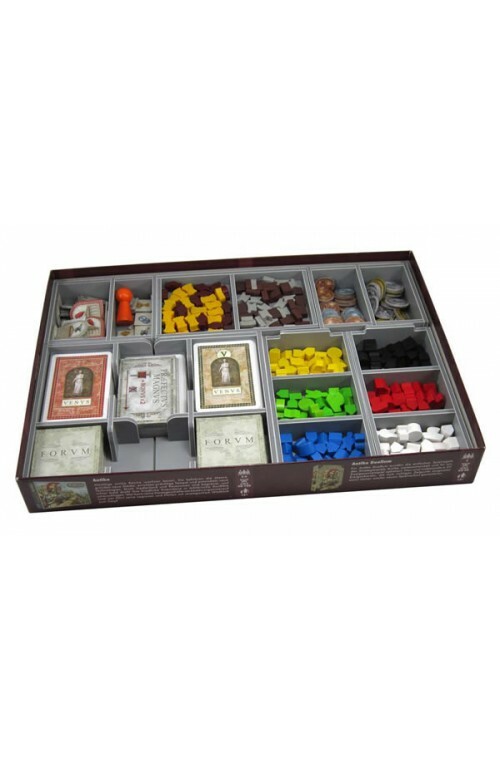 Note that in the base game box there is room for only one board, the other boards form your collection should be stored in one of the expansion boxes. On top of the board go the Venus and forum boards, followed by the rules. The trays require assembly, which is quick and fun, using ordinary PVA glue. Detailed instructions are included in the package.